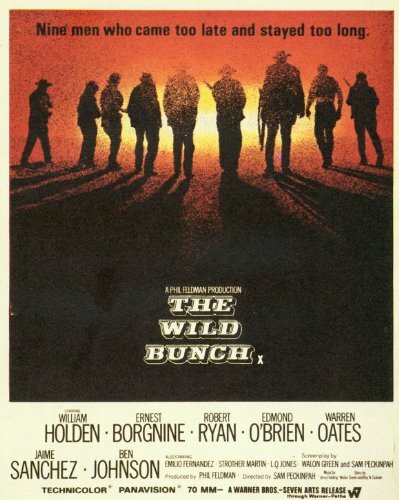 Jim Cornelius posted today that Mel Gibson is planning to remake Sam Peckinpah's epochal The Wild Bunch. While I don't doubt Gibson's affinity for bloody action, I have, let's say, serious doubts about this undertaking. You don't remake perfect movies, only crappy ones that have some cool idea buried inside. Still, I'll wait and see what happens. It got me to thinking about my plan to review Westerns here a few years back, which in turn got me to thinking about which of them are my favorites. 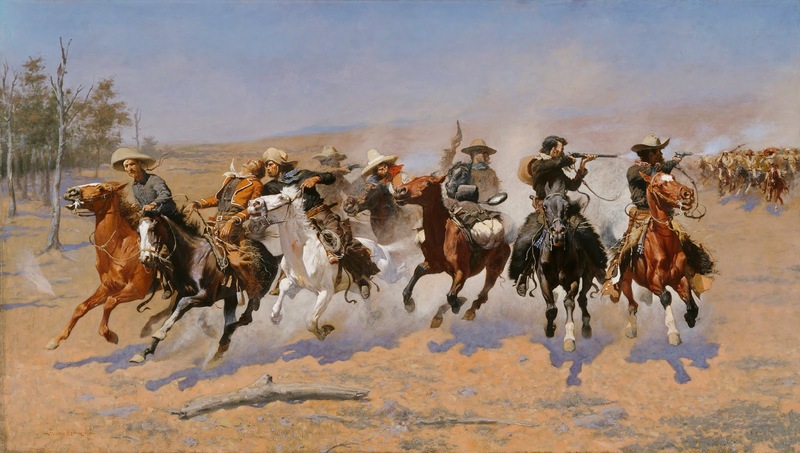 Since I've gone back to writing about the Long 19th Century, I thought I might ramble on about Westerns as well. 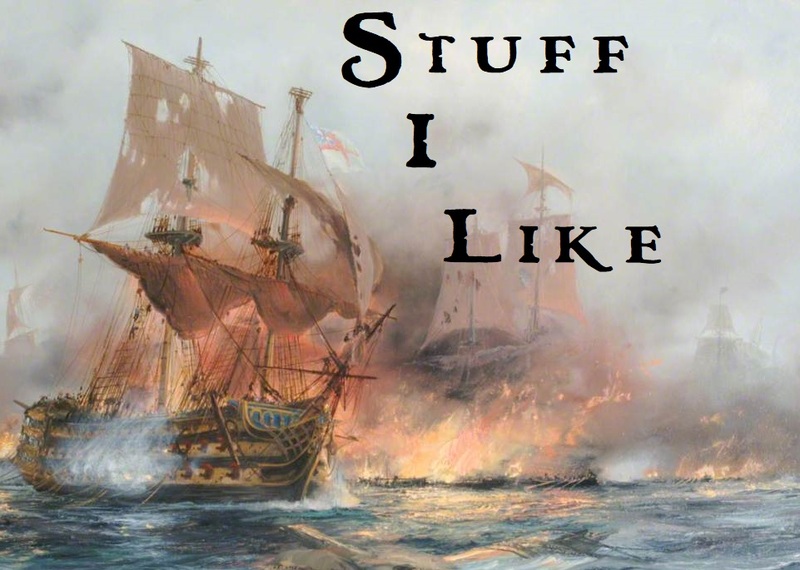 The trick I'm learning, is to not let myself become focused on any one thing, but instead, like the title implies, write about stuff I like, whatever it is. Making a list of my ten favorite Westerns would be a foolish effort. It's too wide a genre and there are too many I prefer at different times for different reasons to proclaim "these ten are my favorites" or "these are the best." Instead, I'll pick a few I think standout for assorted reasons and every fan should see. Since this is the movie that reignited my interest, I'll start with Peckinpah's bloody, bloody masterpiece. Starring William Holden, Robert Ryan, Warren Oates, Ernest Borgnine, Ben Johnson, among many other actual tough guys, this movie is awash in testosterone. 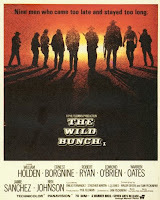 There are damn few contemporary actors who can hold a candle to the manliness of anybody in the cast The Wild Bunch. Several of the cast had been in the military (most notably Borgnine who served nearly ten years in the navy), while others had been stuntmen and longtime actors in Westerns. Every line etched in their faces looks bought and paid for. There's a real toughness to the cast that enhances some of the best acting of all of these men's careers. When Holden utters the line "If they move...kill 'em." you believe him. When Peckinpah was on target he made some of the greatest Westerns of all time. He was completely on target here, and while I love the melancholy Ride the High Country more, this is a big, tough movie that makes no concessions to the viewer whatsoever. Save for the martyred Angel, there are no good men in The Wild Bunch, only men at different points on a scale of bad. The movie opens with robbery gone wrong and innocents' bodies in the streets. It ends in one of the most famous bloodbaths in movie history. 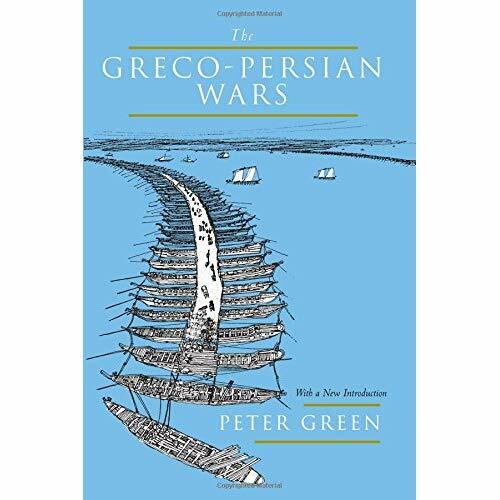 In between there's mayhem and betrayal, all carried out by very bad men, including the "heroes." The bandits, led by Pike Bishop (Holden), are a band of aging outlaws who are seeing their age is coming to an end. In order to survive civilization's enclosure of the West, they plan one last score. What makes its plot more than just another series of robberies is the almost overwhelming feeling that an age of giants - even if monstrous ones - is passing. The badmen of the old West, who at least stood on their own feet and fought for themselves and their compadres, are being replaced by the diabolical agents of the new age, portrayed here by Albert Dekker as the railroad agent, Pat Harrigan. The movie was infamous for its violence when it premiered, and even by today's scant standards it's still a brutal piece of work. Innocence and idealism are no defenses against the violence that permeates the movie's world. There are few real differences in how they act between Pike Bishop's bandits and General Mapache's Federales, until the end. 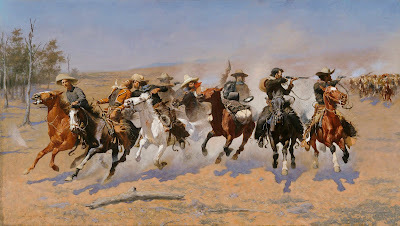 That's when the Wild Bunch decide there is something worth fighting and dying for. I was never a particular fan of Randolph Scott. I had seen him in Ride the High Country, but only once. Then I saw this movie. It is one of the sparsest, most minimalist Westerns ever made. The main body of the film only has six characters and the action takes place at a lonely way station out in the middle of nowhere. There's none of the almost romantic attention to the landscape like in John Ford's films and the plot involves no great acts of revenge or getting the gold. This is the Western as anti-epic. At the center of it is the back and forth between ranch hand Pat Brennan played by Randolph Scott and bandit Frank Usher played by Richard Boone. Without any explicitness, it's one of the most vicious Westerns. Richard Boone, probably best remembered as Paladin on Have Gun Will Travel, played several brutal villains in his career. Frank Usher is clever and funny and completely amoral. Whereas his two partners seem borderline psychotic, Usher is completely matter of fact - whatever happens, he's going to kill everyone - and utterly chilling. 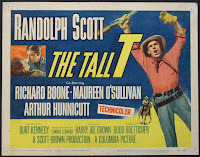 Randolph Scott and Budd Boetticher made seven Westerns together. If one were to make a list of, say, the top 50 Westerns, six of them would belong on there (Seven Men from Now, The Tall T, Decision at Sundown, Buchanan Rides Alone, Ride Lonesome, and Comanche Station). They are all psychologically rich and at the center of each one is the weathered and often battered figure of Randolph Scott. 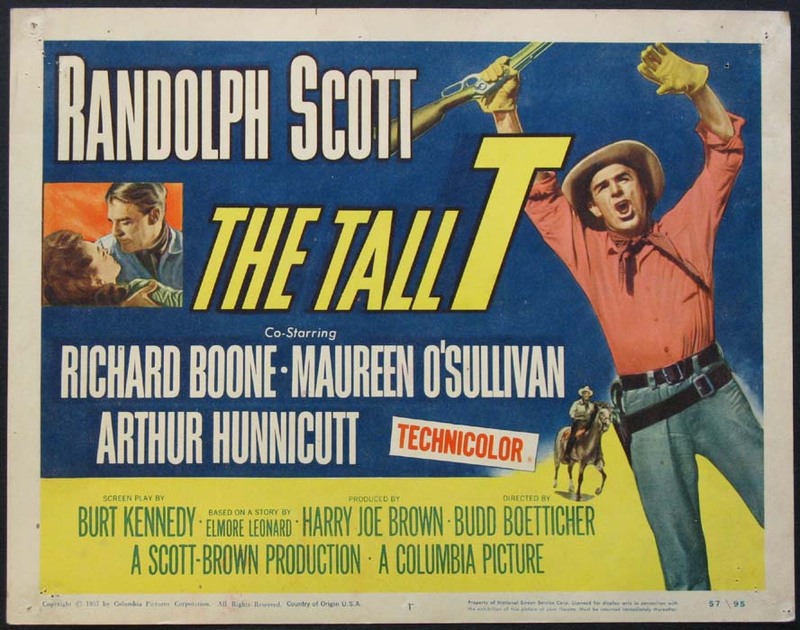 If they've escaped your attention, go right now and find them, starting with The Tall T.
For many people, John Ford is the quintessential Western director. With John Wayne (and a regular company of actors and crew) to bring his vision of the frontier to life, Ford created some of the most indelible images in American cinema, let alone in Westerns. When you see the perfectly framed shots in The Searchers, you can believe Orson Welles' claim that he watched another Ford movie, Stagecoach, forty times before making Citizen Kane. Ford might have had problems with sentimentality and romanticism, but even his weakest movies look amazing. 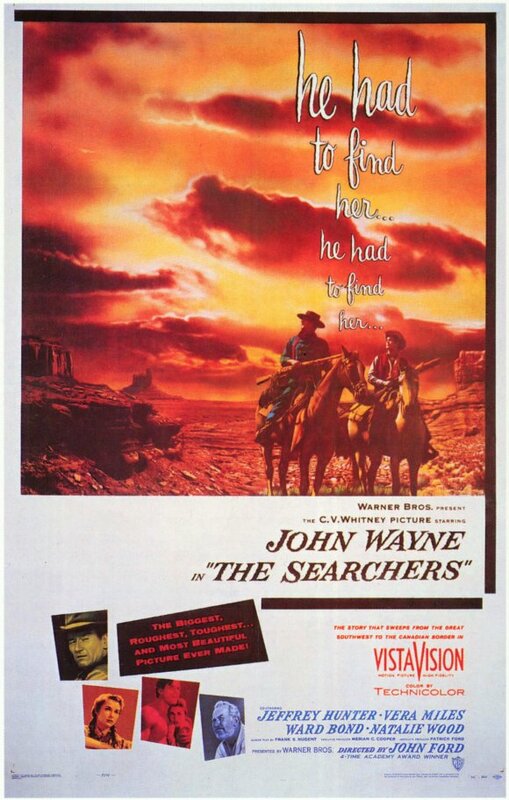 Visually, The Searchers is the opposite of The Tall T. Where Boetticher's film is spare, Ford's awash in vast horizons and rugged skylines. Shot in Ford's beloved Monument Valley, even the desert scenes feel lush and alive. Even if the story and acting had nothing to offer, it remains one of the most beautiful movies ever made. John Wayne plays Ethan Edwards, a Confederate veteran who has been away from home in Texas for eight years. After the Civil War he ended up in Mexico fighting against the French. Now he's returned just in time to help with Comanche raiders. Wayne made plenty of crappy movies and rarely pushed himself as an actor. He seems to have been quite content, once he'd achieved icon status, to just stay within its confines and play every role the same way, time and time again. The Searchers, along with the earlier Red River and this final movie, The Shootist, are the best examples of what he could do when took chances with his image. In The Searchers, other than his complete devotion to his cause, there's little good about Wayne's character, and even that's debatable. You may want Ethan by your side in fight, but even he's smart enough to know no one want to live with him. While riding the countryside with the local Texas Ranger unit, Ethan's brother Aaron's farm is raided. Aaron, his wife, and son are all killed and his daughters, Debbie and Lucy, kidnapped. The rest of the movie is about Ethan's quest to recover his nieces, or at least that's what he keeps telling everyone. At the core of Ethan, and the movie, there burns the furious white-hot flame of racism. It becomes clear Ethan's plan isn't to recover his niece, but kill her alongside the Comanches he's hunting. Another character states that "Ethan will put a bullet in her brain. I tell you Martha would want him to." The Comanches are just as driven in their hatred of the whites, with one promising to kill many whites for each of his two murdered sons. John Ford has been accused of sentimentalizing the West and its settlement by whites, but there's none of that here. There's some silliness involving Jeffrey Hunter's and Vera Miles' courtship that almost disrupts the dark tone, but not quite. Should you meet anyone who disparages Ford's Westerns as mawkish, point them to this movie. Even today The Searchers remains a raw wound of a movie. Lonesome Dove (1989) - dir. S.Wincer, writ. W.Wittliff I thank my dad for getting me to watch this miniseries. Something about the commercials made it look cheap in my eyes. Man, oh, man, was I wrong. It is epic stuff from the final days of major network miniseries. To this day, Robert Duvall claims the role of Gus McCrae as his favorite role. 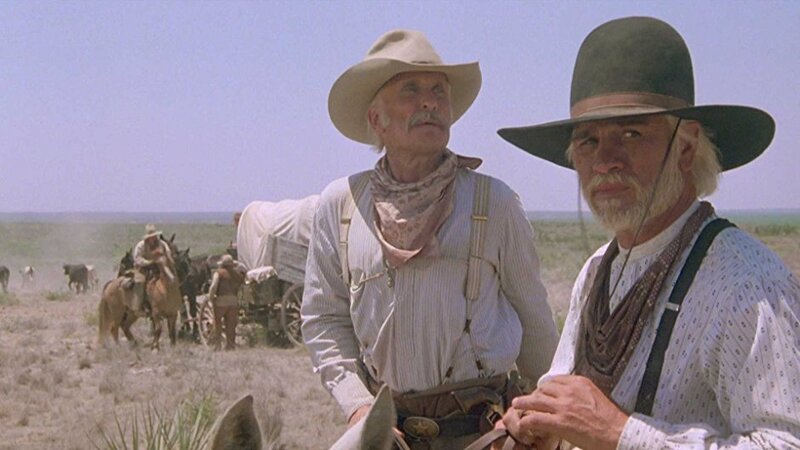 Lonesome Dove is primarily the story of two retired Texas Rangers, Gus McCrae (Duvall) and Woodrow F. Call (Tommy Lee Jones), at the urging of an old comrade, Jake Spoon (Robert Urich), making a cattle drive to Montana. Along the way bad things happen and their path intertwines with those of drygulchers, a sheriff from Arkansas, his deputy, and a horrifying bandit, Blue Duck. Novelist Larry McMurtry first envisioned Lonesome Dove as a movie that would star John Wayne, Jimmy Stewart, and Henry Fonda. John Ford convinced Wayne not to do it so it never happened. 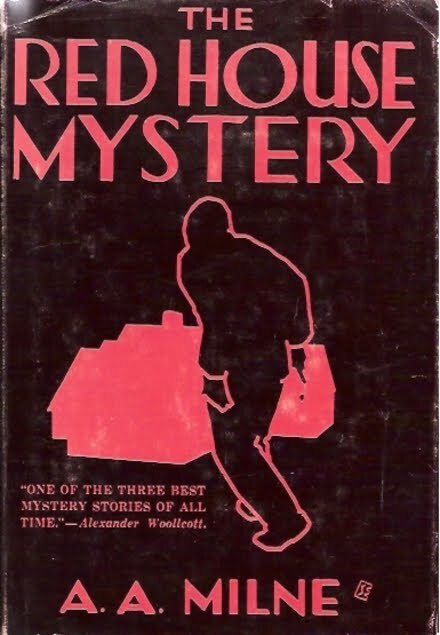 So McMurtry turned it into a big, fat book that won the Pulitzer in 1986. Like so many later era Westerns, Lonesome Dove is about the end of the frontier and the numbered days of the hard men who fostered its settlement in the face of (understandably) hostile Indians, bandits, and a rough, unforgiving environment. Once Texas Rangers, now Call and McCrae are ranchers. Well, ranchers who fill out their herd by rustling across the border in Mexico. Later books - Deadman's Walk and Comanche Moon - fill in the blanks of their earlier days -but here they are old men who once walked like giants. Now in their twilit days they are hungry for one more chance to do that again. I imagine McMurtry, like Peckinpah with the aged Scott and McCrea in Ride the High Country, wanted iconic Western actors like Wayne, Stewart, and Fonda to underline the theme of an age passing and its heroes with it. I think it would have been a fascinating film, but I'm glad it wasn't made and the novel was written. Instead of a trio of Hollywood icons, the miniseries gave two other great actors the chance for roles of a lifetime. Both Duvall and Jones were perfectly cast. Duvall has rarely been more buoyant or charming than as Gus McCrae, a man more concerned about where he might find the next available woman than when or if they'll ever make it to Montana. For him, it's just one more lark before inevitable end. While decades younger than his character, Jones carries himself with a harsh, self-denying dignity that feels earned with every year of a life lived hard. My favorite scene in the series, one where Jones beats an army scout, is almost frightening in its sudden intensity but his portrayal previously has let you know it's completely in character. The rest of the cast are no slouches either. Of particular note are Chris Cooper, Robert Urich, Glen Headley, and Frederic Forrest. There's also Danny Glover, Barry Corbin, Rick Schroder, and Diane Lane, among many, many others. I'm not sure you could make a Hollywood movie with this sort of cast anymore. 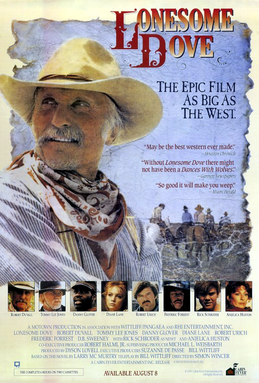 At nearly six and a half hours, Lonesome Dove is the longest of the movies here. It's worth every minute. A Fistful of Dollars (1964) - dir. S.Leone, writ. A.Bozoni & D.Tessari There might be better made Spaghetti Westerns. 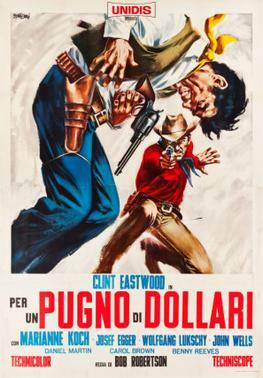 It wasn't the first Italian Western. It's not Sergio Leone's best movie either. 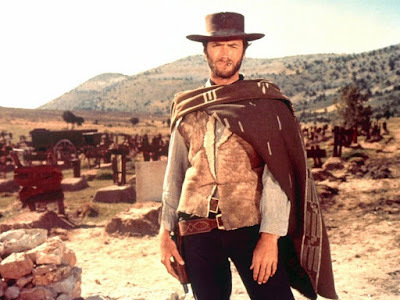 But, with Leone, Morricone, and Eastwood teaming up for the first time, it's one of the most influential and iconic Westerns ever made (even though it's ripped off from another movie). According to Wikipedia, the idea was to do a Western version of Akira Kurosawa's 1961 samurai movie, Yojimbo. In that film, a ronin comes to a small town fallen under the control of two warring gangs in order to destroy them both. If you haven't seen it, do so at once. Leone followed the same basic outline, but Eastwood's character, the Man With No Name, is less the hero than Toshiro Mifune's warrior. Eastwood wanders into the San Miguel and learning of the warring gangs, decides to play them off against each other to make money. Not the most expressive actor, Eastwood is excellent as the cheroot-smoking, poncho-wearing gringo wandering the direst parts of Mexico. This is the movie that elevated Eastwood from tv star and overseas movie actor to global icon. As much, if not more than John Wayne, the Man With No Name is the universal image of the Western gunslinger. Barely speaking above a mumble, Eastwood imbues every one of his lines resonates with a grim, sardonic humor. He's clever and ruthless. He stalks across the screen like some lithe beast, tricking first one side then the other before pouncing and leaving bodies scattered at his feet. All four other movies I've discussed portray the West through a realistic lens. Leone wants nothing to do with that. For him the Western exists completely in the land of myth and legend. Colors, sounds, even the acting - mostly by Italian actors dubbed poorly into English - feels like it's seeped in from some dream world. Even the most elaborate and perfect shots in The Searchers is more "real" than any in A Fistful of Dollars. I remember (perhaps wrongly) Quentin Tarantino saying this was one of the first movies he saw where it was clear every thing in it was the result of careful, deliberate choices made by Leone. Did I mention the music? I should have, because, next to that of The Magnificent Seven, this movie's score is one of the most instantly recognizable. It's eerie, ridiculously over-the-top, and exactly right for the movie. If you don't think you know it, got to YouTube and check it out. I'll be shocked if you really don't know it. I fell in love with this movie in high school when I watched it one Saturday night on Channel 5 with my dad. I think I saw if at least once or twice previously, but it was that night that I really paid attention to it. I was enthralled by all the things I've mentioned. The colors, the script, the music, it came at me from somewhere far to the other side of John Ford's or Howard Hawks' movies. Raised on a steady, and nourishing, diet of John Wayne and Jimmy Stewart Westerns, this movie was a wild, mind-blowing experience. Rewatching it the other night for the umpteen millionth time all that came back to me, and for an hour and a half everything felt wild and great again. These are not my five favorite Westerns, but they are some of my favorites. The genre is big and wide. There are Gothic and epics, mysteries and noirs, comedies and even horror flicks. In my long definition of what a Western is I point out the movies are essentially period pieces set on the frontier. That's a lot of room for a lot of different sorts of stories and themes and I couldn't make a list of which I like best if my very life depended on it, nor would I want to. These five movies, though, if you watch them you'll definitely understand what I'm looking for in the genre, and more importantly, you'll see five very different, and five incredibly successful works of art in probably the most American genre. Really, though, what you'll see are just five awesome freakin' movies. The Searchers is a great movie, but one should not overlook the original Alan Le May novel. It is different in someways from the movie but is great in it's own right. Cool. I have it in an omnibus with Shane, Warhorse, and Bugles in the Afternoon. I need to pull that down. ¿What about Pat Garrett and Billy the Kid by Peckinpah or Ride Lonesome by Boetticher? All terrific movies. That's why I didn't call the list the five greatest Westerns. I just picked certain ones that stand out from the general crowd. Boetticher is so terribly unknown by the wider audience.